Leadership workshops for 75 women leaders in central staff. Cohort debriefing sessions for workshop attendees. 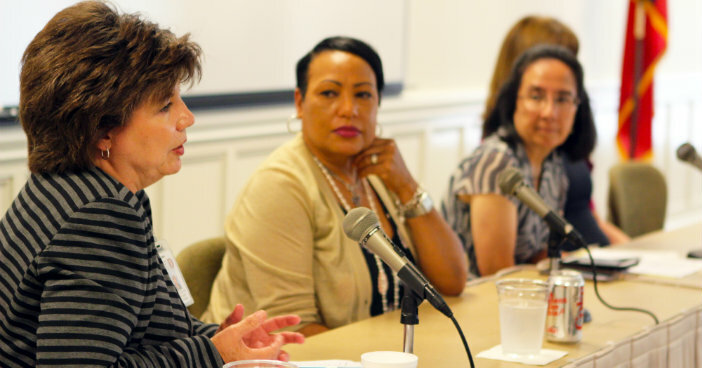 Roundtables with women in Dallas ISD’s top leadership. Chief of Staff Dr. Cynthia Wilson, Chief of Human Capital Management Karry Chapman, Chief of School Leadership Stephanie Elizalde and Chief of Communications Toni Cordova led discussions on various points of leadership from the female perspective in the session facilitated by Dallas Business Journal Publisher Traci Merzi. “I’m really excited to know that the district is prioritizing development for women and for leaders, just the same way we do for our teachers, and I know that it will drive impact for our leaders in Central Staff,” said Human Capital Management staffer Leila Wright. The discussion commenced with a brief overview of each chief’s pathway to leadership and continued with pointed insights on leadership experiences gained throughout their careers. Some of the key messages included characteristics of effective leadership, balancing respect versus micro-management, problem resolution, conflict management and inspiring others. Chapman’s advice to the group emphasized flexibility and the importance of refraining from making snap decisions. Cordova encouraged attendees to be open to transition and relocation for leadership opportunities, to take cues from other leaders, and to bring something unique to the leadership role while practicing kindness and humility. 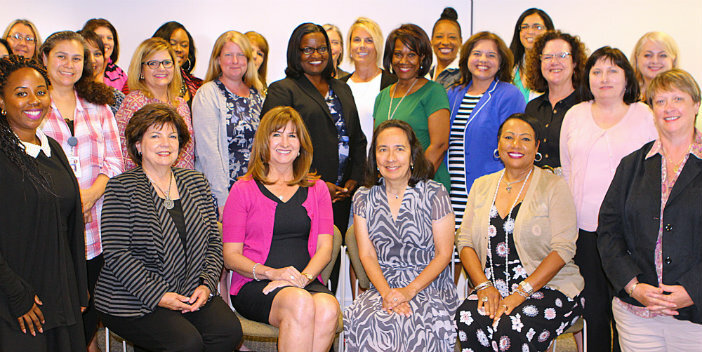 The recent forum was one of several efforts to support central staff through varied professional development opportunities, including professional learning academies, workshops, online learning, customized professional learning events, and facilitated book studies, all focused on increasing effectiveness and expanding leadership capacity among central staff employees to benefit Dallas ISD students.